It is a known fact that the directors of all industries get inspiration from foreign language movies. Some of the directors work on remakes while few get inspiration from other movies. There are cases where Bollywood directors are criticized for being a copy cat and copying the exact scenes from Hollywood movies. But do you know that even Hollywood directors get inspired by Bollywood movies? Yes! Even Hollywood directors get inspiration from Bollywood movies. Here we are presenting a list of Hollywood movies that are inspired by Bollywood movies. 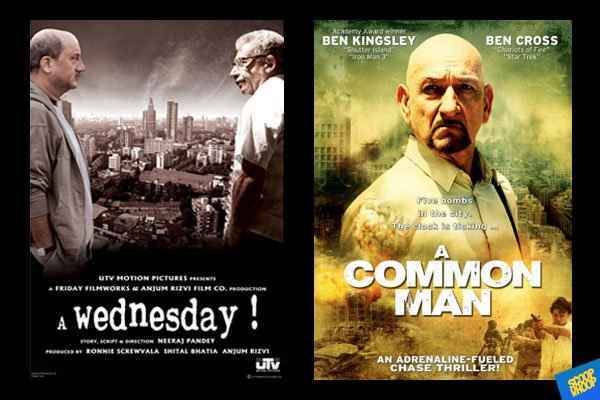 Neeraj Pandey’s ‘A Wednesday’ was a huge hit. The movie was remade officially into ‘A Common Man’ by Chandra Rutnam. The Naseeruddin Shah’s character was played by Oscar award winner Ben Kingsley. 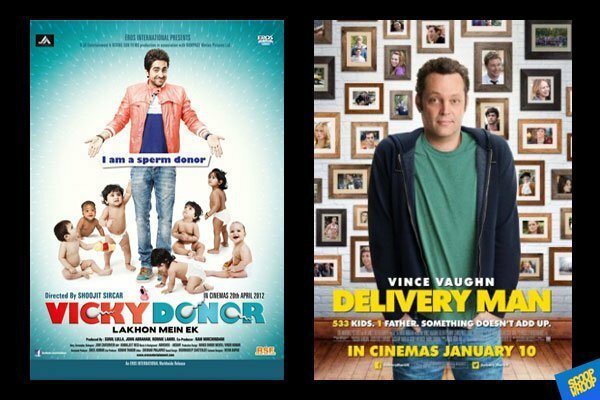 Vicky Donor movie is about sperm donation and the movie received applause from the critics. The same movie but with little changes was remade into English as ‘Delivery Man’. Sperm donation is the main concept in both movies. SRK’s Darr movie is evergreen in Bollywood. The movie is about a love triangle and most of the epic scenes along with the concept were adopted by the Hollywood director James Foley. Rajkumar Hirani’s coming-of-age comedy movie ‘Three Idiots’ has been officially remade into ‘Three Idiotas’. The movie won hearts of millions back in time. The movie was also remade into Mexican language. Carlos Bolado is the director of the Mexican remake. 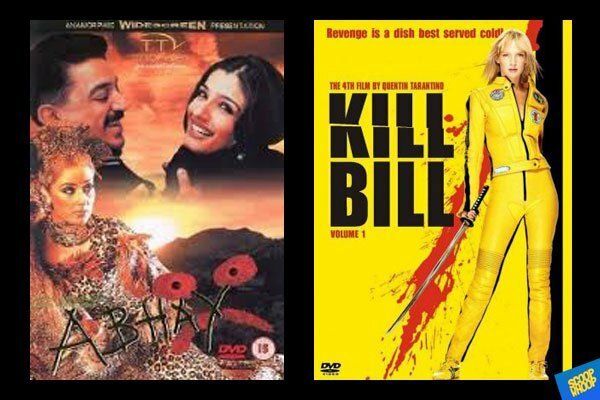 Abhay starring Kamal Haasan was remade into Kill Bill by Quentin Tarantino. Though the plot is not the same there are many scenes that are inspired from the original edition. 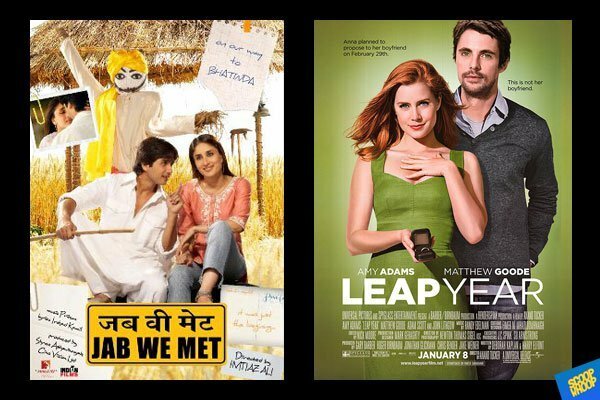 Though the directors of Leap Year claim that it is not inspired from Jab We Met, it is not true. The movie has so much similarity in terms of the concept. Just Go With It has a similar plot as that of Maine Pyaar Kyun Kiya. The Bollywood movie stars Sushmita Sen and Salman Khan whereas in the Hollywood remake Jennifer Aniston and Adam Sandler played the roles. 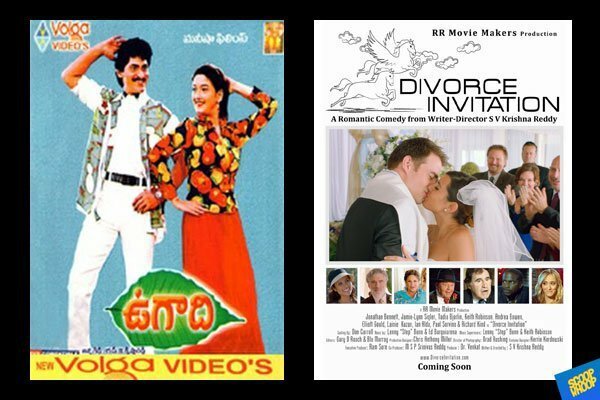 Telugu super hit movie ‘Aahwanam’ was remade into English as ‘Divorce Invitation’. The movie was directed by S.V. Krishna Reddy. He himself directed the movie in English featuring Jonathan Bennett and Jamie L. Sigler.